New York Yankees relief pitcher Mariano Rivera has become baseball’s first unanimous Hall of Fame selection, elected along with Roy Halladay, Edgar Martinez and Mike Mussina. Rivera received all 425 votes in balloting by the Baseball Writers’ Association of America. Pitcher Roy Halladay, an ace with the Toronto Blue Jays and Philadelphia Phillies, got 85.4 percent and will be the first posthumous inductee since Deacon White in 2013 and Ron Santo in 2012. Halladay died in November 2017 at 40 years old when an airplane he was flying crashed into the Gulf of Mexico off the coast of Florida. 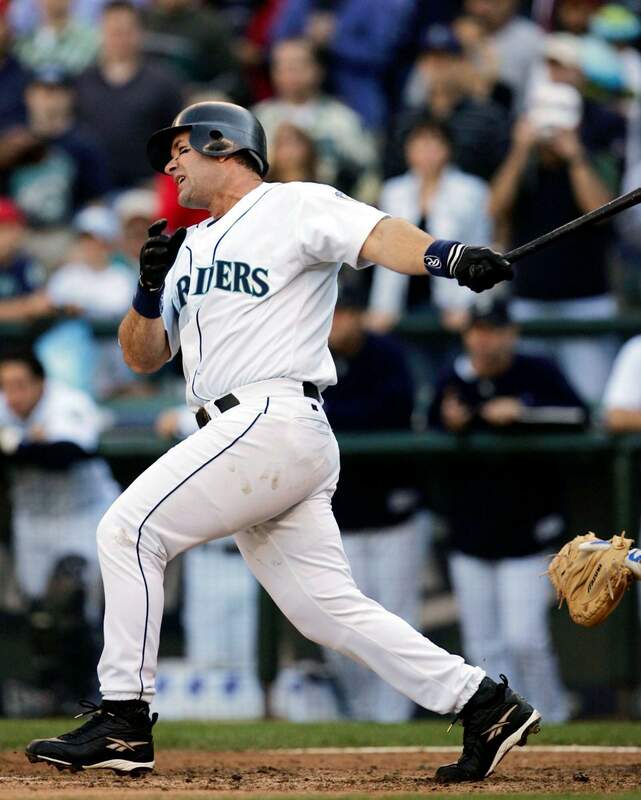 Seattle Mariners’ Edgar Martinez makes the final swing of his career. Martinez finished with a .312 career average in 18 seasons, all with Seattle. Martinez was elected to baseball’s Hall of Fame on Tuesday. 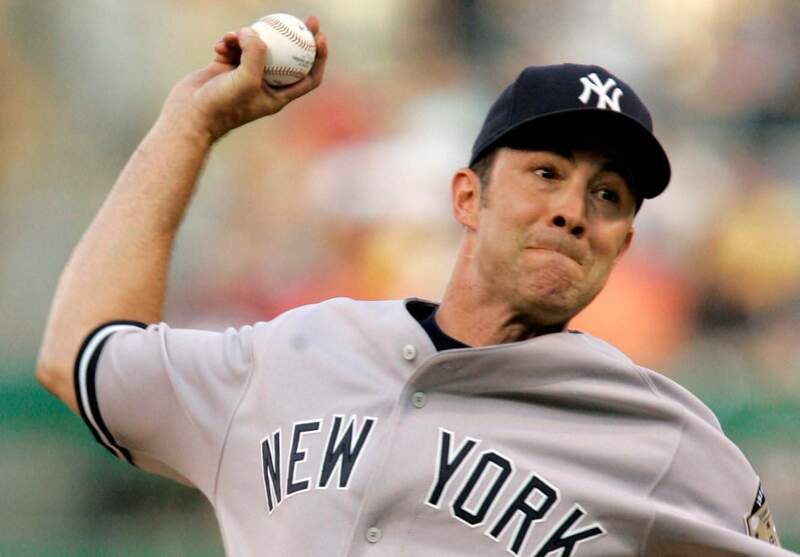 New York Yankees pitcher Mike Mussina was a steady right-hander for the Yankees and Baltimore Orioles who went 270-153 with 2,813 strikeouts over 18 seasons. He received 76.7 percent, getting seven more votes than the 319 required for election. 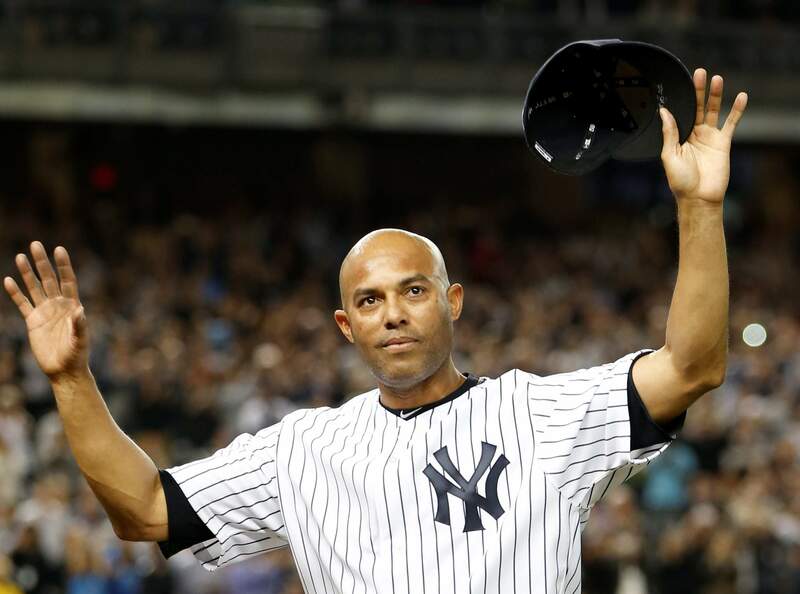 NEW YORK – This honor was saved for the one and only Mariano Rivera. Not until “The Sandman” could everyone agree. Rivera became baseball’s first unanimous Hall of Fame selection, elected Tuesday along with Edgar Martinez, Mike Mussina and the late Roy Halladay. Rivera received all 425 votes in balloting announced by the Baseball Writers’ Association of America. Ken Griffey Jr. held the mark for top percentage at 99.32 when he was on 437 of 440 ballots two years ago. “Beyond my imagination,” Rivera said. Rivera is baseball’s career saves leader with 652. With a steady demeanor and a fearsome cut fastball, he won five World Series over 19 seasons with the New York Yankees. He was always at his best in October, getting 42 saves with a 0.70 ERA over 16 postseasons, including 11 saves in the World Series. Halladay, an ace with the Toronto Blue Jays and Philadelphia Phillies who starred at Arvada West High School in Colorado, got 85.4 percent and will be the first posthumous inductee since Deacon White in 2013 and Ron Santo in 2012. Halladay died in November 2017 at 40 years old when an airplane he was flying crashed into the Gulf of Mexico off the coast of Florida. Martinez was a .312 hitter over 18 seasons with Seattle. He got 85.4 percent in his 10th and final try on the writers’ ballot. He and Baines will join 2014 inductee Frank Thomas as the only Hall of Famers to play the majority of their games at designated hitter. David Ortiz will be eligible in 2022. “I think the fact that Harold Baines and me got in this year is going to help the future of the DH for years to come,” Martinez said. Rivera grew up in Panama the son of a fisherman. He signed with New York in 1990, debuted in the majors as a 25-year-old in 1995 and a year later emerged as one of the game’s best relievers. Part of a core that included Derek Jeter, Andy Pettitte and Jorge Posada, Rivera helped the Yankees win four World Series from 1996-2000 and another in 2009. The Yankees didn’t even wait until Rivera’s final game to retire his No. 42 – he was the last player in the major leagues to wear that number, grandfathered to him when No. 42 was retired in honor of Jackie Robinson in 1997. Though his music taste skews more Christian rock than heavy metal, Rivera toed the Yankee Stadium rubber to Metallica’s “Enter Sandman” for much of his career. “The Sandman” became synonymous with the song’s foreboding guitar riff, and the Rock & Roll Hall of Famers performed it live at Yankee Stadium in 2013 before one of Rivera’s final home games. Like all the bats he sawed off with that dastardly cutter, Rivera shattered an 83-year-old standard with his selection. Ruth, Young and the game’s other early stars fell short of unanimous election in the first ballot in 1936 because of a backlog of worthy candidates. With the bar set so high, some writers began leaving worthy first-year players off their ballots. 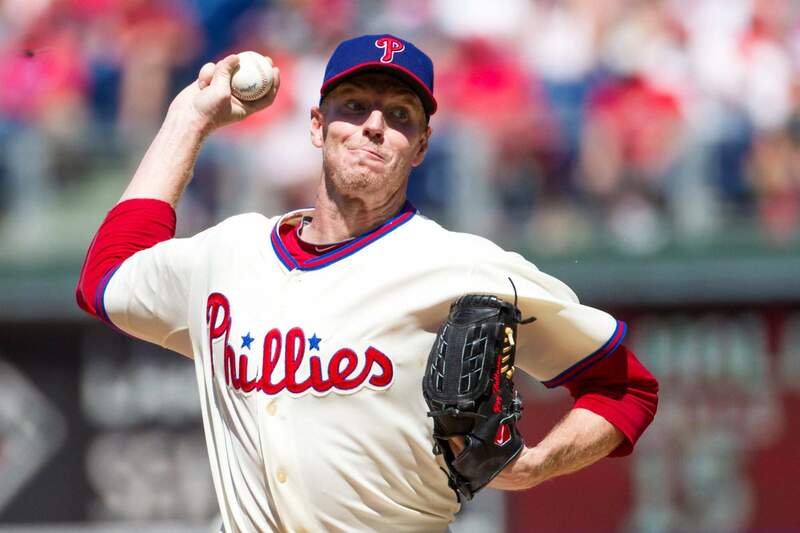 Halladay’s best season came in 2010, his first following a blockbuster trade to Philadelphia. Halladay pitched a perfect game against the Florida Marlins in May, then delivered a no-hitter against Cincinnati in the opener of the NL Division Series. It was just the second no-hitter in postseason history after the Yankees’ Don Larsen pitched a perfect game against Brooklyn in the 1956 World Series. In an era marked by pitch counts and early hooks, Halladay was a workhorse. Since 2000, Halladay’s 65 complete games are by far the most in the majors – Livan Hernandez is second at 39. Martinez was among the game’s steadiest hitters throughout the 1990s and early 2000s, winning two batting titles and hitting 309 homers. A late bloomer from Puerto Rico, Martinez never played more than 100 games in the majors until he was 27. He broke in as a third baseman before becoming a full-time DH at 32, a role he held until retiring at 41 in 2004. MLB’s yearly award for the top DH is named in his honor. Martinez’s classmates certainly couldn’t get him out. The slugger was 11 for 19 (.579) lifetime against Rivera, 23 for 75 (.307) with five homers against Mussina and 8 for 18 (.444) against Halladay. “Especially early in my career, I got two strikes on Edgar, and the third one never showed up,” Rivera said. Martinez got just 36.2 percent of the vote in his first ballot appearance in 2010 and fell as low as 25.2 percent in 2014 – the cutoff for induction is 75 percent. With a push from the sport’s analytics community and a hearty social media campaign, Martinez made major progress in recent votes, including 70.4 percent in 2018. “Some of the sabermetrics really helped,” Martinez said. Mussina’s 3.68 ERA will be the third highest in Cooperstown behind Jack Morris (3.90) and Red Ruffing (3.80), but writers gave him a break for pitching in the slugger-heavy AL East, with its cozy ballparks. Mussina fell short of 300 wins and 3,000 strikeouts, but those traditional markers haven’t been as crucial to modern voters. This proved more relevant: His 83 wins above replacement, per Baseball-Reference, rank 58th all-time. That’s just ahead of first-ballot Hall of Fame pitchers Nolan Ryan and Tom Glavine. Mussina spent 10 seasons in Baltimore and eight in New York. He said he was unsure which hat would be on his Cooperstown plaque – the Hall makes the final call. “Certainly by July, we’ll have something worked out,” he said. It was only the fifth time the writers voted in four players in one class – it also happened last year, in 2015, 1955 and 1947. The largest group selected by writers was the inaugural five-member class of Ty Cobb, Honus Wagner, Ruth, Mathewson and Walter Johnson in 1936. The writers and Today’s Game Era Committee have combined to elect 31 people since 2014.